As part of the legal services field, paralegals provide direct support to other members of the legal profession. Paralegals often get the opportunity to work with a wide variety of professionals, such as lawyers and other legal aids, and are regularly responsible for performing thorough research and creating complex documents relating to current and past legal actions involving clients of the business. In 2015, the mean salary received by paralegals and legal assistants was $53,190 in regards to the 22,350 positions available throughout the state. Positions are available in a variety of environments including, but not limited to, major law firms, the federal government, finance and insurance, state and local government, and other legal services providers. The need for paralegals is expected to rise by approximately 8 percent between 2014 and 2024 nationwide resulting in a projected employment level of 300,800 by 2024. This can make work as a paralegal particularly attractive to those who may not remain in one geographic area, as those who are certified may find the flexibility to move to different locations and maintain employment options. Unlike certain states, the state of Texas does not require paralegals to become certified in order to perform the job duties associated with the position. However, many employers prefer to hire candidates who are certified, and some may even consider it a requirement. By becoming certified, you have proven you have the skills, knowledge and abilities necessary to complete the work with a proven level of competency. Not only will those who choose to get certified have a better opportunity of being hired, they may also enjoy higher salaries or additional opportunities for promotion. The most common path to working as a certified paralegal is through the completion of a paralegal studies program approved through the American Bar Association (ABA). Approved programs are recognized as providing the knowledge required to successfully work as a paralegal and is often a base requirement in order to be permitted to take a certification examination. Paralegal programs vary in duration, though many take approximately two years to complete and end with the student receiving an associate’s in applied sciences (AAS) degree from the institution. Those who acquire the necessary course work through an accredited educational institution, such as a community college or university, may be able to transfer the course credits toward the completion of a more advanced degree. For those interested in a more advanced educational base, a bachelor’s degree program may be appropriate. The program will require a combination of core educational requirements as well as a mandatory number of specialized course work. Certain institutions will require those who do not currently work in the legal field to complete an approved internship as part of the course work in order to provide real world experience to those participating in the program. The total time for a bachelor’s degree is four years, or two years in addition to the time required to complete an AAS or other associate’s degree. Since the state of Texas does not require a certification to work as a paralegal, it is possible to enter and advance in the field through work experience alone. 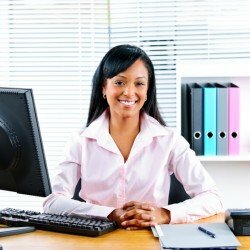 In order to do so, you may have to begin in a more entry level position, such as a general office assistant. In cases where becoming certified is the ultimate goal, work experience relating to the performance of duties commonly associated with a paralegal position will be required. In order for work to be considered qualifying, it must be completed under the guidance of a licensed attorney. Documentation regarding this work experience will be required if it is to be considered for the purpose of becoming certified. The National Association of Legal Assistants (NALA) offers a professional certification for paralegals working within the United States. The examination covers topics such as communications, ethics, legal research techniques, judgement and analytical abilities, and substantive law. In order to qualify for the examination, the applicant must be a graduate of an ABA approved paralegal program, possess and associate’s degree or bachelor’s degree in paralegal studies, hold a post-baccalaureate certificate, or meet other educational requirements. Applicants may be eligible if they have a high school diploma and a minimum of seven years of experience in the paralegal field under the direct supervision of a member of the Bar. Additionally, a minimum number of continuing legal educational credits is required. Along with the application, the applicant must submit any required supporting documents as well as the required application fee. Each paralegal certification is considered valid for a period of five years. In order to renew the certification, continuing education is required in the amount of 50 credit hours over the course of the five year period, with a minimum of five hours covering topics in regards to legal ethics. Only approved course work will be considered in order to meet the requirement, and proof of attendance and acceptable scores will be required in order to complete the recertification process. A recertification fee is also required. The board certification process is overseen by the Texas Board of Legal Specialization (TBLS), and covers seven areas of the law. In order to be eligible for the certification examination, certain requirements must be met. This includes a minimum of five years of experience in the field, with a minimum of three of those years being related to work in the state of Texas. Additionally, you must be currently working in the field with a minimum of 50 percent of the duties associated with working as a paralegal being in a particular specialty. In addition, applicants must have a minimum level of experience or education. This can include an NALA certification, graduation from an ABA approved paralegal program, a bachelor’s degree or higher in an applicable discipline, a non-approved paralegal program with a minimum length of 60 semester hours with 18 of those hours being in legal courses that are substantive in nature, or two additional years of work experience as a paralegal under the supervision of a board licensed attorney. All applicants will be evaluated by professionals within the legal field and the associated specialty, and will be required to pass a written examination. Available specialties include bankruptcy law, civil trial law, criminal law, estate planning and probate law, family law, personal injury law, and real estate law. Eligible candidates will need to complete an application in order to be considered, as well as any supporting documentation as required to confirm eligibility. Additionally, and application fee is required based on the current fee schedule. Once an application is received by the TBLS, a confirmation message will be supplied. The first review of application materials is designed to spot errors that should be corrected prior to further consideration. If deficiencies are identified, a recommended change notice will be set detailing the actions that should be taken. The next review is completed by an Advisory Commission who may contact you regarding any additional questions or concerns they may have. Finally, applications are reviewed annually in mid-August by the TBLS and will be voted upon by eligible members. Applicants will be contacted regarding the results of the aforementioned vote, with those who are approved becoming eligible for the examination. Each specialization has specific examination specifications, with updates being made regularly to ensure the information covered reflects the most current state of the specialization in question. While no specific preparatory program is recommended, study guides for each specialty are available through the TBLS. Those who successfully pass the examination will become a Board Certified Paralegal in the specialty for which they took the examination. In order to maintain board certification, you must meet certain requirements on an annual basis. The process includes a recertification request along with an annual fee. Additionally, continued legal education (CLE) courses are required in order to ensure all board certified paralegals are working with the most up-to-date information in regards to their specialty within the legal field. The work of a paralegal is often supervised by either a licensed attorney or through a superior paralegal within the institution. The positions are highly research dependent, with a significant amount of time spent gathering information in support of case work. Research may be required in the areas of applicable laws and regulations and any precedents set through the resolution of previous trials. Time may be spent on the collection and organizing of relevant evidence, as well as preparing required documents necessary for the continuation of a current case. Industry reports may be required, along with activities relating to the filing of evidentiary exhibits, briefs, or appeals. Note taking during various meetings is also a common duty. While working with the professionals within your place of employment, you may also have interactions with other professionals working in the legal field. Additionally, time will be spent around clients or customers of the firm or agency in which you work. Interactions with case witnesses may also be required. Depending on the full scope of your duties, you may also interact with suppliers and vendors. This can include keeping certain supplies in stock as well as calling in maintenance requests. d work is common, as most document creation and some research will require the use of a computer. Tasks requiring the use of other standard office equipment, such as copiers and scanners, will also be necessary, especially in situations where an electronic filing system is in use. Postage meters and fax machines may be used in order to send communications to those requesting information. Document disposal equipment will also be present. Paralegals often have to adjust to rapidly changing priorities, and must be capable of properly recording how work hours are spent in cases where individual clients are billed for your efforts. Paralegals are most often employed in office environments. This can include work with private law firms as well as work completed for certain government agencies or non-profits. At times, travel to other locations may be required. This can include accessing facilities for the purpose of conducting research or submitting documentation, as well as working with clients or other legal professionals in alternate environments. Those working with trial lawyers may also be required to accompany them to court rooms. The pace of the work environment may vary depending on the exact nature of the services being provided, though most would likely be considered to be moderate or fast paced. Positions are often full time, with the majority of the work day occurring during day shift hours on a Monday through Friday basis. Some organizations may require occasional nights and weekends, especially when an important deadline is approaching. The median annual income for paralegals in Texas was 2015 was $48,810. Most full time employees will have access to a benefits package along with their annual salary. This can include access to medical and dental insurance, as well as vision and prescription coverage. Retirement planning options may be available along with paid vacation and sick leave. In some cases, costs related to continuing education may also be offset as a benefit of employment. With the top 10 percent of paralegals in the United States earning over $79.010, many who choose to make working as a paralegal a career path find opportunities to advance. Those who are looking to further their careers by becoming a lawyer may have the opportunity to earn higher wages as the median annual income for attorneys in 2015 was $115,820. In order to become an attorney, additional education will be required along with the ability to pass the Bar examination.